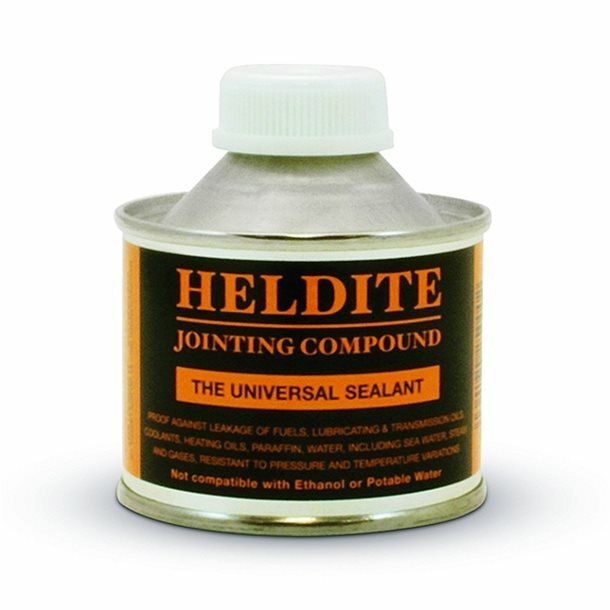 Heldite Jointing Compound - Welcome to Oilybits U.K. 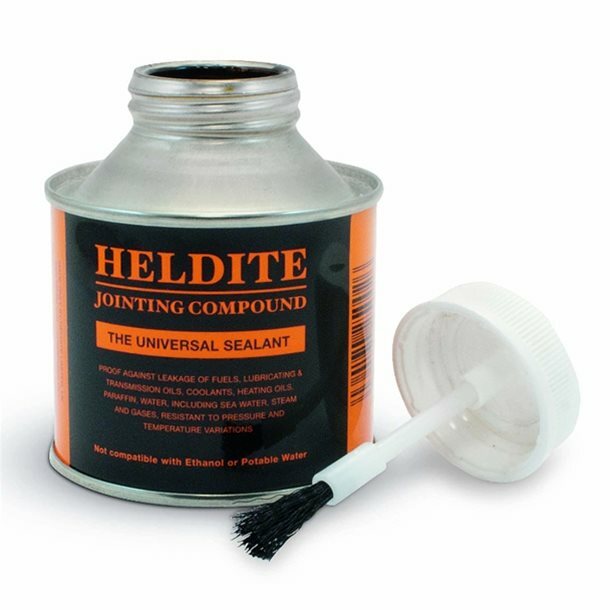 The combination of thermal, plastic and adhesive factors in Heldite is unique in sealant formulation. Plasticity combats the effects of temperature and pressure changes, shifting levels and stresses associated with the assembly of dissimilar metals such as aluminium housings bolted to cast blocks. 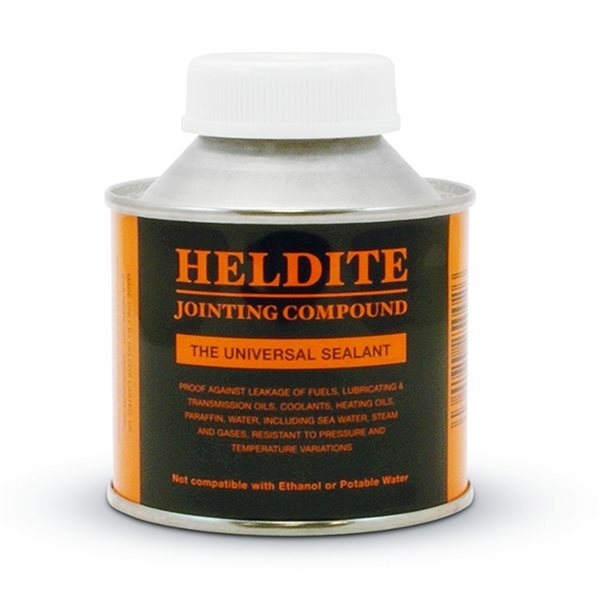 The adhesive factor not only assists gasket location but in general practice has been shown to be an effective locking type sealant for imparting additional security to studs, splines and press fit bearings. 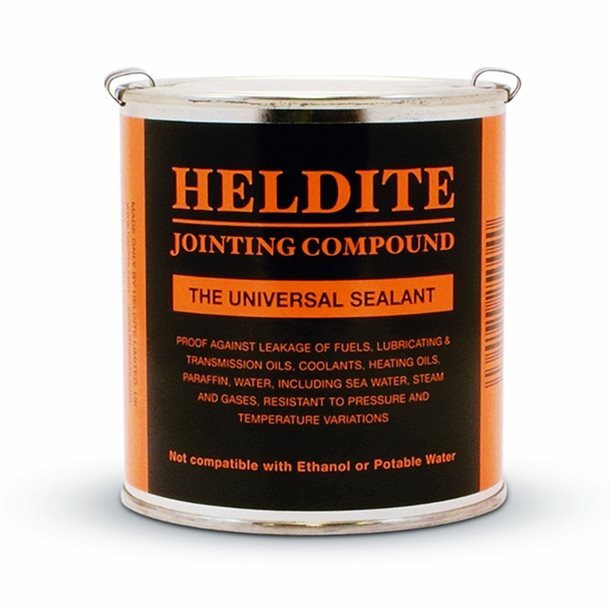 Heldite is completely waterproof and unaffected by Sea Water. The product is widely used for protecting electrical joint boxes and moisture sensitive instruments from the effect of damp atmosphere.